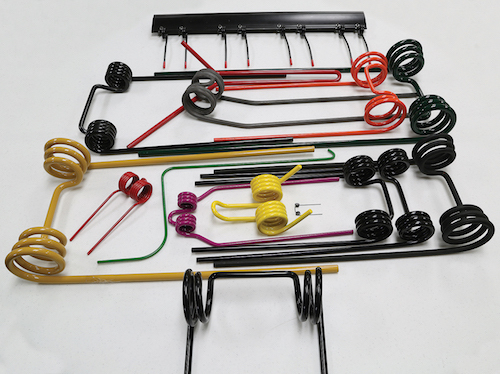 Check out the latest vertical-tillage products from some of the industry's leading suppliers. Bellota Agrisolutions provides manufacturing centers along with supply and support locations within the major agricultural regions of the world. That global presence provides knowledge and expertise for every type of growing environment. 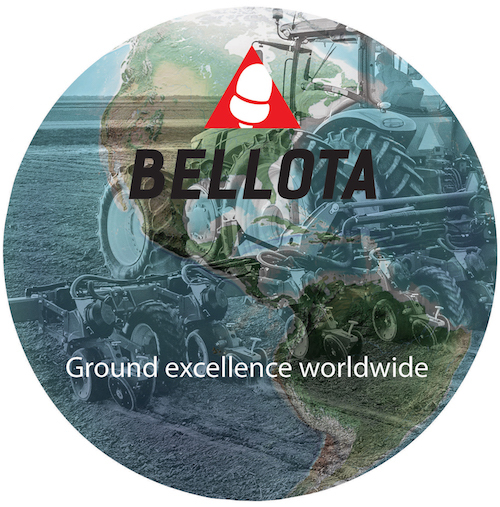 Bellota’s product lines offer over 8,000 ground-engaging parts made available across 80 countries. All of this business development gives OEM brands and producers anywhere on the planet advantages with product choices and application for any type of tillage, planting and seeding practice. Look to Bellota for advantages and solutions. Along with discovering new solutions from Bellota, producers also appreciate the long-lasting product quality. Bellota’s Borodur® steel offers the perfect balance of hardness and flexibility for superior customer satisfaction. For your global solutions, contact Bellota at www.bellotaagrisolutions.com. Ingersoll’s SoilRazor discs represent a solid innovation that has quickly spread as the leading standard for worldwide use. 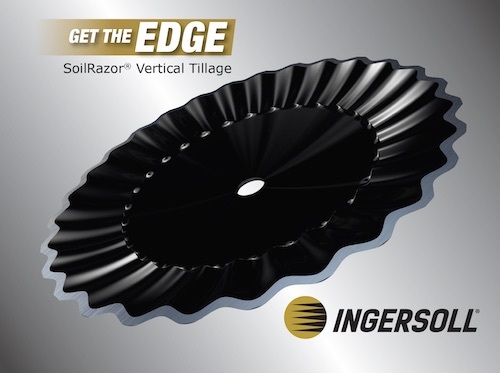 SoilRazor blades are crafted from Ingersoll’s PURE professional grade steel, made from virgin iron ore taconite, and created with a proprietary formula. These unique properties provide long-lasting performance, durability and resilience. SoilRazor’s innovative sawtooth edge is ideal for slicing and mixing the toughest residue and for penetrating difficult soil conditions. SoilRazor blades maintain their cutting edge throughout their working life, continuing to save fuel, manage residue and prepare the seedbed, especially well-suited for conservation tillage. Click here for more information or call 888-768-1740. The Great Plains Max-Chisel™ is an aggressive primary tillage tool designed to achieve complete fracture at shallower depths, while leaving fields smoother and more uniform than most traditional disk rippers. With patented Samurai edges, the blades aggressively remove root balls while mixing and incorporating residue in the top 4-5 inches of soil, chopping it to accelerate the decaying process. 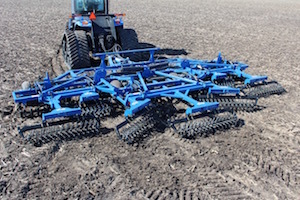 Angled chopper wheels combine with 15-inch shank spacing to pull dirt back into the shank voids, leaving the surface level enough for a single-pass tool to finish the field ahead of the planter in the spring. The Smart-Till by T.G. Schmeiser is the ultimate tool for improving soil health and plant vigor. The patented self-sharpening tine system fractures and laterally shatters the soil profile more than 8 inches deep. This action creates improved air and water exchange, which offers many benefits for spring and fall tillage. Available 10 to 30 feet wide, the Smart-Till excels at residue management by fraying and promoting soil contact. The optional rear rotary harrows smooth, level and loosen soil for an optimal field finish. The adjustability of both the tines and the rear harrows makes the Smart-Till the ultimate performer in almost any field condition. Myers Spring offers Laser Tooth Tines™, harrow tines and reverse taper tines featuring wire size up to 0.750 inches (the largest in the field) with proprietary antiwear surfacing for added tine life. Early testing of the antiwear surfaces has shown 3 to 5 times longer life than just plain tines. Myers Spring tines don’t lose their length and shape, maintaining a more consistent leveling of the seedbed than regular tines for an improved profit per acre. Many options are available for coatings from Myers Spring, such as Epoxy E-Coat, which is used as a base coat for powder for better durability; Acrylic E-Coat, which is UV Resistant; and Powder Coat. The benefits of vertical tillage and the need for large-acreage productivity have seamlessly come together in three new 7400 Series 5-section Vertical Tillage Plus machines from Landoll. Available in working widths from 39 feet, 9 inches to 49 feet, 9 inches, the 5-section VT Plus can cover up to an impressive 42 acres per hour, while sizing and anchoring residue and mixing a shallow layer of soil — all at speeds up to 8 ½ mph. When coupled with previous VT Plus models, the Landoll 7400 Series line of vertical-tillage machines becomes the largest in the industry. 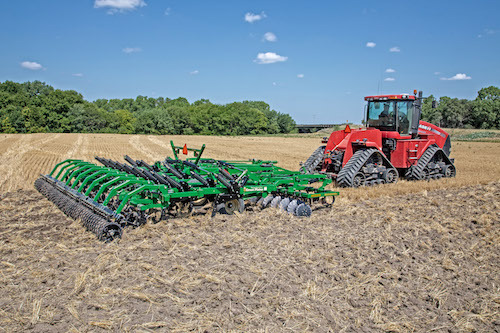 In an era of specialized tillage tools for various crop, soil and weather conditions, it is truly hard to believe that a hook-and-go piece of equipment for any season could exist. But, that is what you’ll find with the Incite® from McFarlane. 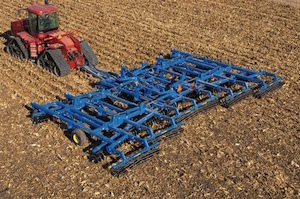 It is a universal tillage tool that provides flexibility for all field conditions to create a perfect seedbed in the spring and cut through tough stalks in the fall. 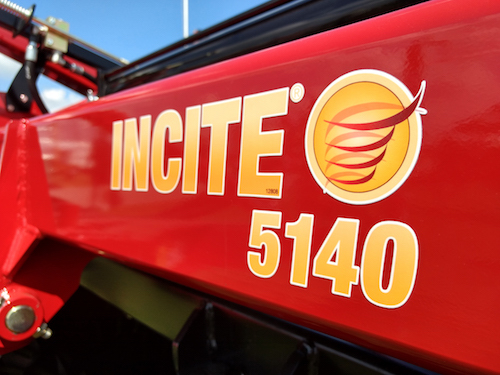 The Incite’s leading disc gang, swept-back reel and the residue-reducing Incizor® blades are all adjusted with a single hand crank to make this tillage tool a time saver. Be aggressive as you’d like, when it comes to another innovative product from McFarlane.